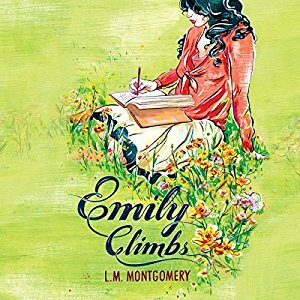 An Audible add-on is NOT available with the Complete Emily Starr Collection listed. Emily didn't used to be available on audio at all. But now the first two books are available; one is much cheaper than the other. Buy this edition, and add the BRAND NEW Audible narration for $7.49. (If you read $3.49 in today's deals email you're not crazy--the price has increased since this morning.) The list price is 24.47 so this is a steal of a deal on a new audio release! Emily Byrd Starr longs to attend Queen’s Academy to earn her teaching license, but her tradition-bound relatives at New Moon refuse. She is instead offered the chance to go to Shrewsbury High School with her friends, on two conditions. The first is that she board with her disliked Aunt Ruth, but it is the second that causes Emily difficulties. Emily must not write a word during her high-school education.